As you age, your teeth will age as well. Decay, fillings, trauma, or even chewing habits can make your teeth break down over time. 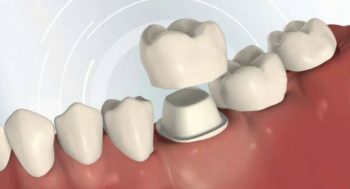 A dental crown, also known as a “cap”, is a cover that is placed over a tooth to protect a weakened or broken-down tooth structure. A crown can also be used to cover a poorly colored tooth, or a tooth that has had a root canal. Sometimes older worn-down crowns will also need to be replaced. It normally takes two visits to complete the crown procedure. On your first visit, numbing medicine is used to put the worn-down tooth to sleep. The tooth is shaped and prepared for an impression, which is also taken during the first appointment. You will leave the first appointment with a temporary crown in place. Your impression will be sent to our lab where your permanent crown is made. Once the permanent crown is sent back to us, you will come back for a second appointment where your temporary crown will be replaced by a beautiful permanent crown that has the shape and function of your adjacent teeth. Below are some common questions our patients ask us about dental crowns. Please contact us today if you have any other questions or concerns. When your tooth has worn down to the point that it is about to fracture. During a full mouth reconstruction case where teeth need to be rebuilt to their original size. Teeth with very large cavities. Crowns that are placed over dental implants. 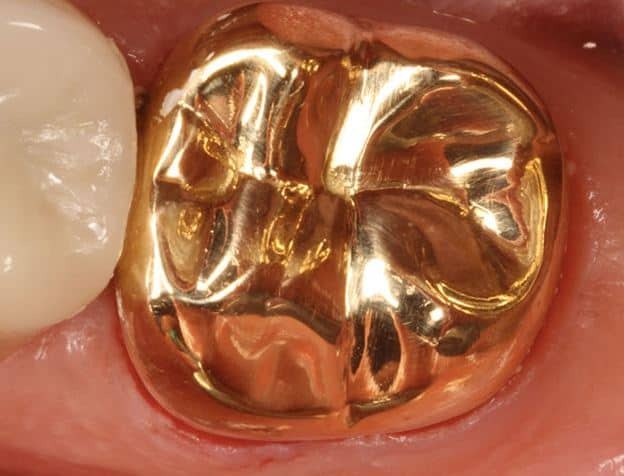 Are Dental crowns guaranteed forever? No they are not. Nothing can be guaranteed for life. Most crowns can last many years depending on how well you take care of it. Are Dental crowns covered by insurance? Most insurance companies cover dental crowns under their various plans. Plans vary and the percentage that will be covered depends on your carrier. At your consultation appointment we will let you know exactly how much is covered. Can a dental crown be removed and replaced? Absolutely. If you have a crown that is fractured or leaking, Dr. Jasmine will more than likely recommend a replacement for you. Can a dental crown cause bad breath? If the tooth being supported by the dental crown begins to get infected, it may start to cause bad breath. What’s worse is the infection itself which will need to be dealt with immediately as it may cause a dental emergency. Can a dental crown be reattached if it has fallen out? It depends on if the crown has fallen out due to the actual tooth being damaged, or if it’s simple a de-bonding of the cement. If it’s the former, then no it can’t. If it’s the latter then a crown can be re-cemented on during your consultation appointment. Can a dental crown cause a root canal? If your dental crown is leaking, then the underlying natural tooth structure can develop a cavity which may end up growing over time. Eventually these teeth end up needing a root canal once the cavity has entered into the nerve tissue. Can a dental crown be repaired? If your crown has fractured or gets chipped it unfortunately cannot be repaired and must be replaced. No it cannot. Dental crowns are made up of different materials such as Porcelain, gold, Zirconia that cannot be whitened if they are stained. This really depends on what type of material is used and if you have dental insurance. We will give you your exact cost break down at your consultation appointment. What material are dental crowns made of? There are many materials in today’s market that we can use to make crowns. Some of them include Gold, Zirconia, Porcelain, and Resins. Although studies can vary on this particular question, Dr. Jasmine feels that material is less significant than the quality of the work that is done in your mouth. When the work is done appropriately, any material can last for many years if not decades. 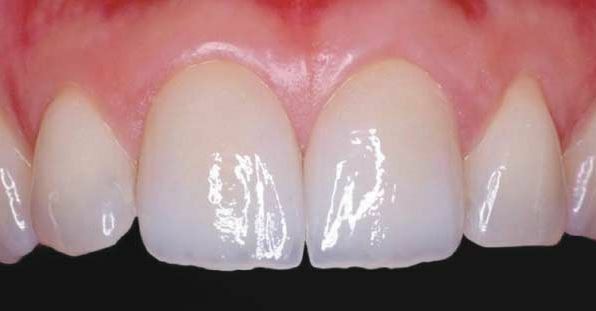 What is the difference between a dental crown and dental bridge? A crown is a single unit that is cemented into place, while a dental bridge consists of multiple units to replace missing teeth. See the videos below to see the difference between the two. When do dental crowns need to be replaced? Your underlying tooth structure called the dentin is exposed. If this is the case, the sensitivity should start to go away after your permanent crown is put in place. The crown is too high. Sometimes our laboratories are not perfect and the crown ends up being a bit too tall. This can cause sensitivity and pain analogous to chewing on hard candy over and over again. The solution to this issue is to visit your dentist for a crown adjustment. The underlying tooth has fractured. This is a simple gum procedure where a portion of your gum tissue is removed to “lengthen” the tooth structure so enough underlying tooth material is present to adequately support your new dental crown. If you are needing dental crowns in Houston, give us a call to set up your free consultation with Dr. Jasmine.